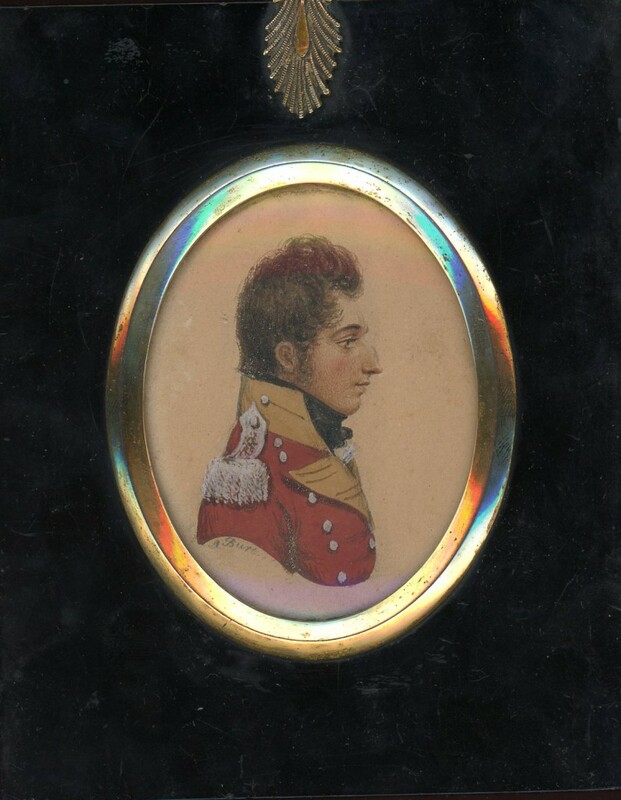 A watercolour on card profile portrait of a handsome young officer in a red coat with yellow facings, silver buttons and a silver epaulette painted by Albin Roberts Burt. 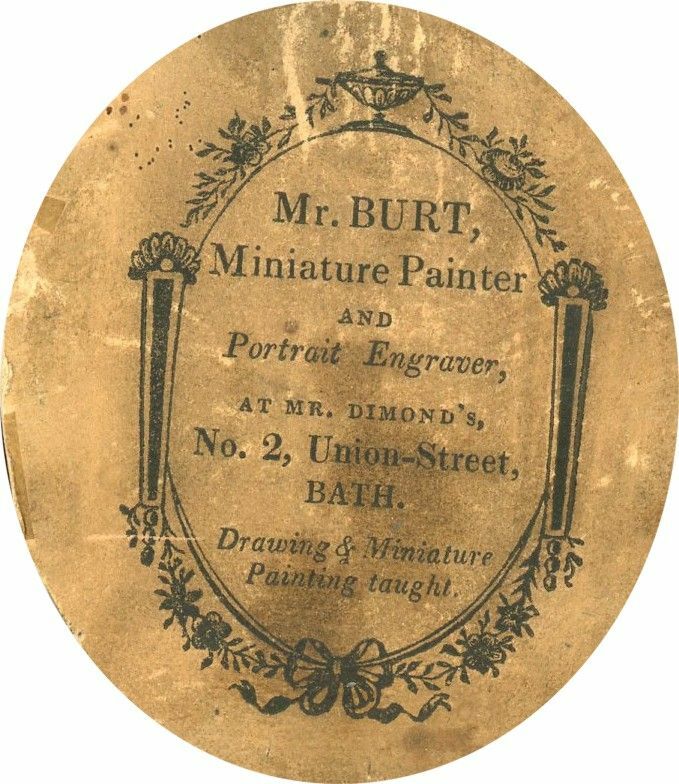 Signed A. Burt under the bust-line, the portrait is housed in a traditional papier-mâché frame with a star hanger. It is backed with the artist’s trade card displaying a Bath address – “At Mr Dimond’s, No. 2 Union-Street, Bath”. Albin Roberts Burt (1783-1842) was the son of a London grocer & his Welsh wife. He trained as an engraver before turning to portraiture and exhibited at the Royal Academy between 1807 and 1830. 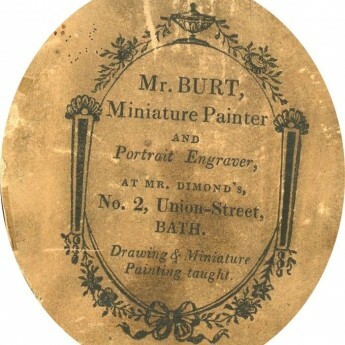 Burt boastfully claimed that he would paint anybody “from a lord down to a boots”. He married in 1810, settled in Chester and had eight children whom he kept “in good style”.